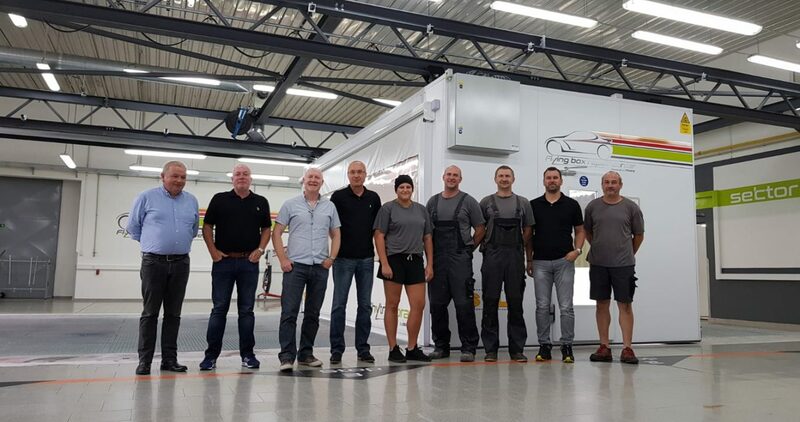 STL was delighted to continue its growth in Europe and North America by supporting the work of the DEFEND GROUP, a renowned company based in the Czech Republic. Here, CEO Pavel Vojtek, tells us why he chose STL. DEFEND GROUP have been working in the automotive industry since 1994, specialising in Smart, small and medium repairs, car wash detailing and the insurance market. We have recently opened a newly rebuilt car care and service centre including body and paint shop, car wash and detailing centre. How did you get involved with STL? We were searching for the best solution for equipment and technologies for small and medium repairs and we came across STL. It quickly became clear that they were the best solution for us and we quickly developed a very good working relationship. What work did STL carry out? 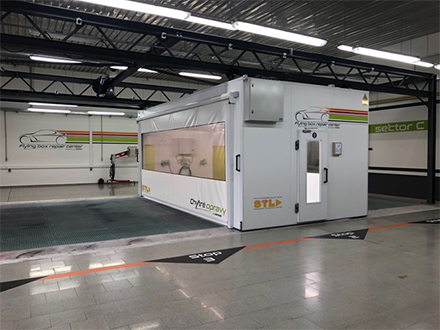 Working with the directors at STL, we installed a TEMPO spraybooth in our new body and paintshop centre and then converted it into a CEE STL showroom. Why did you choose this particular service? 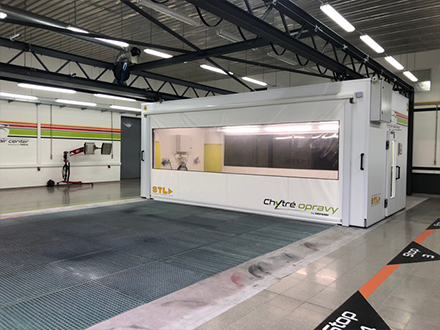 It’s the best product and spraybooth on the market by far for fast and efficient repairs, designed for high car flow body and paint shops. What did you think of STL’s work and service? They are a great company with top professionals working for them and offering high-quality products. How will STL’s work and products support your business? 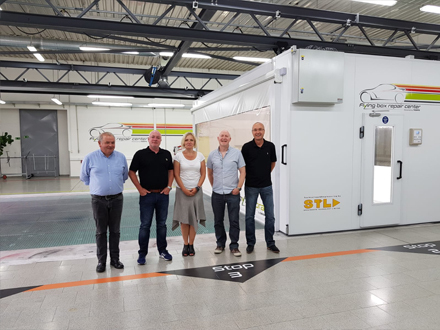 We have agreed with STL Sales Director, Kevin Dillon, to spread our mutual vision of high car flow body and paintshops (focused on three or four panel repairs) throughout markets in Central and Eastern Europe. Find out more about the STL Tempo please call us now on 01787 313550 or email us.